Trusted Re/Max Lakefront agents Grady and Linda Stone have helped countless people make their dream of owning a picturesque waterfront property a reality. 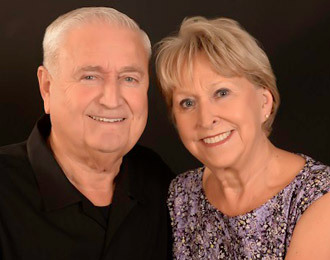 Over 40 years combined active in the real estate industry, Grady and Linda are experienced in all aspects of the process of buying and selling to get you the results you deserve. Licensed in Alabama and Georgia. Lake Wedowee (R.L.Harris Reservoir) located in Wedowee, Alabama is approximately 90 miles from Atlanta as well as Birmingham. Since it's completion in the early 80's, Lake Wedowee has attracted prospective homebuyers for its majestic landscape, abundant fish and wildlife, and ample space for recreational boating and water sports. The 10,660 acre breathtaking man-made lake offers 270 miles of shoreline featuring some of Wedowee, Alabama's most coveted real estate and lakefront lot available for development. Let Linda and Grady Stone be your real estate agent in this area to help you buy, or sell, the property of your dreams. Bought a Single Family home in 2019 for approximately $100K in Wedowee, AL. Bought a home in 2018 in Lineville, AL. Linda and Grady were absolutely outstanding. I just want to buy or sell another house just so I can work with them! Sold a home in 2018 in Napoleon, Woodland, AL 36280. They were wonderful in advising me and motivating me until they accomplished the sale of my property. I had never used the services of a relator prior to the listing of my property. I was explained every detail of the process and the entire experience was made easy. Bought a Vacant Land home in 2018 for approximately $100K in Wedowee, AL. Linda and Grady are the best. They have been patient and working with us for 3 years. Never gave up on us. We just closed on a large parcel of land in Wedowee. Would never have done this without them and their staff (Debbie) has been awesome. Did I mention patient. Most realtors would have given up. They are no longer realtors to us. They are family. We love team Stone. Would recommend to anyone. Bought a Single Family home in 2018 for approximately $375K in Wedowee, AL. Highly recommend The Stones to help with any real estate venture. They were very knowledgeable and helped us thru the entire process. Always available to answer our questions with immediate response. It was a pleasure to work with you both! Hope you enjoy your new life on Lake Wedowee!! Both Grady and Linda are dedicated experts who are patient and committed to assisting in finding the right home for their clients/customers. Extremely knowledgeable professionals that work for you! I strongly recommend the Stones for your Real Estate Needs!! Bought a home in 2017 in Ava, Wedowee, AL 36278. Linda did most of the work, however, Grady’s many years of experience in building and renovating homes was invaluable. Linda was tireless in helping us find a home. She quickly gained an understanding of what we were looking for in a home. She encouraged us to look outside of our box several times. She is thorough in her understanding of all aspects of real estate. She’s on time every time. She expertly guided us through the pot holes of the home buying process. Her communication skills are excellent and most importantly she gained our trust by putting our interest first. We hope she is available when it’s time to sell the home she found for us. Sold a Single Family home in 2016 for approximately $225K in Wedowee, AL. Linda is very thorough as is her staff. She handled the sell of one property and the acquison of another. She was always accessible, kept track of details, and had a thorough knowledge of the area. I'd give her Ten Stars if I could! I would recommend the Stones without hesitation! Sold a home in 2016 in Wedowee, AL. Grady and Linda Stone are very knowledgeable about the real estate business. Grady and Linda kept us well informed during the process of marketing and selling our home. From start to finish, Grady and Linda along with their staff are a pleasure to work with. Sold a Single Family home in 2015 for approximately $475K in Powder Springs, GA.
We have used Grady and Linda twice, when we purchased our home and when we sold our home. We feel like we have made forever friends with them! We highly recommend them to buy or sell your home!! Thank you for being such wonderful people to work with!